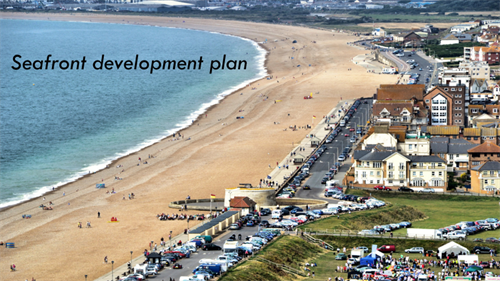 Seafront Development Plan - Have your say! Come and have your say on Friday 3rd and Saturday 4th March adjacent to Frankie’s Beach Café on the promenade. 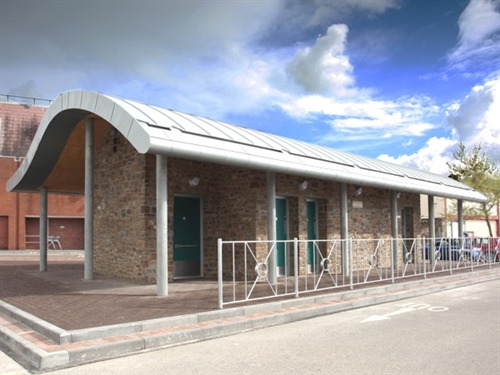 Craig Williams, Projects & Facilities Manager, will be pleased to present current ideas on the development of the seafront and answer any questions you may have between 10am and 4pm each day. 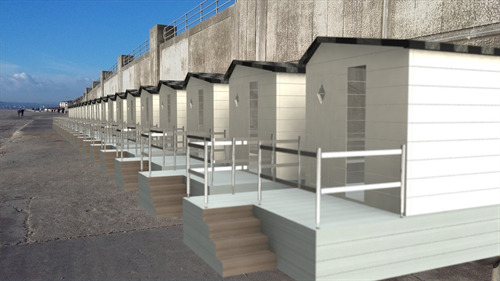 There will be the opportunity to consider proposed plans for brand-new Martello toilets with two retail units and showers, an entertainments area at the Martello Tower and raised beach huts at Bönningstedt Parade amongst others. Would you like to see some trees along the promenade, or gym equipment at intervals along its length? How about a kiosk selling fresh seafood? What is your vision for The Salts and a new café? A survey will be available on the day and also on Seaford Town Council’s website so that everybody’s opinions can be taken into account during this public consultation period. A leaflet and application form for The Shoal, Seaford’s Community Bench, will also be on hand – don’t miss out on being part of this exciting project. “Seaford is blessed with a fantastic bay and a wide promenade. 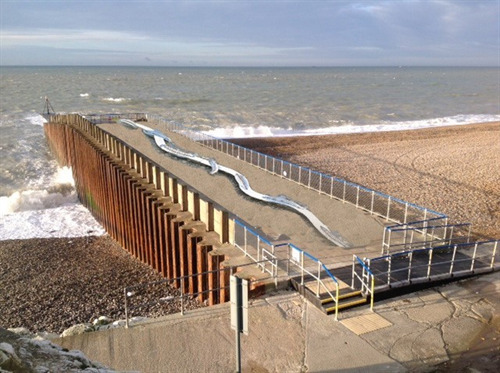 The Council wants to keep this unique attraction as unspoilt as possible, while enhancing it for residents and to encourage visitors to our town to support our local businesses. We value any input in to the development plans so that we can work together to put Seaford firmly on the map as a great place to be,” said James Corrigan, Town Clerk.